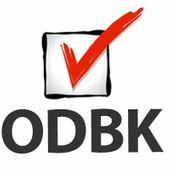 ODBK is an activist organization that works to increase the number of people who understand and engage with contemporary art with the aim to make them active participants in decision making. By decision making, we mean the ability to define the importance of the artists and prices of the artworks, independent of the income, gender, nationality, social status and any other kind of identity. The ODBK has two poles of action. The first is the facilitation of a contemporary art understanding and appreciation for a wider number of people. The second is the support of projects and initiatives that allow grassroots influence in the decisions that shape the art world. The main mechanism that facilitates the implementation of the ODBK concept is the Art Market Regulation Commission (AMARC).